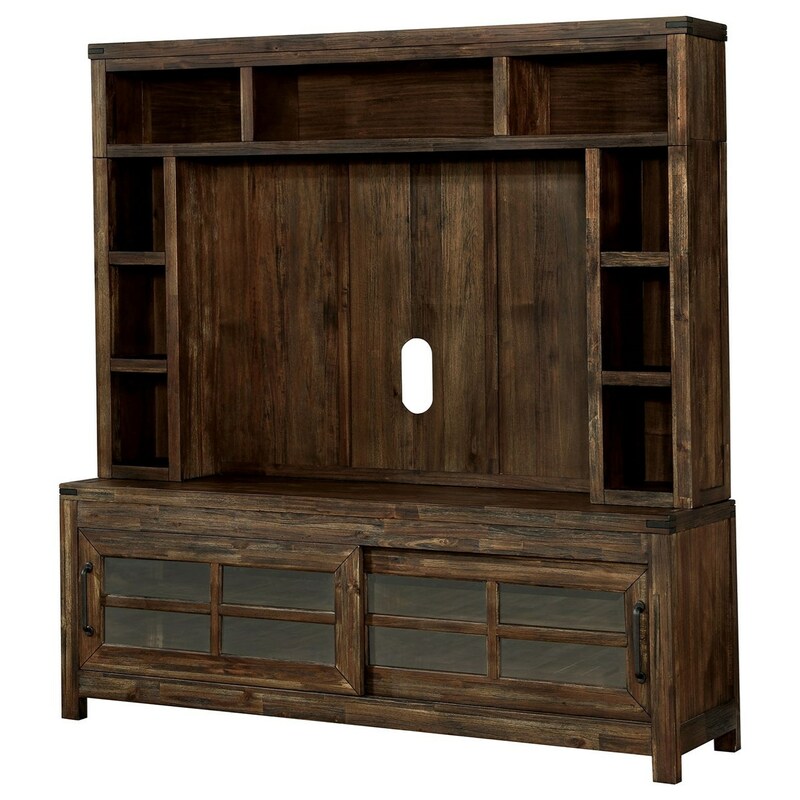 With its rustic influence and sturdy design, this entertainment unit will become a beautiful element in any home! Both sliding cabinet doors feature clear glass panes with wood accents reinforcing the glass. The interior shelves offer convenient spac es for your media devices to rest within easy reach. A grandiose hutch adds handy shelving space to hold decorations, reading materials and a quaint DVD collection. This entertainment set's charming style will brighten your home with its oak finish. The Hopkins 72" TV Console + Hutch by Furniture of America at Rooms for Less in the Columbus, Reynoldsburg, Upper Arlington, Westerville Ohio area. Product availability may vary. Contact us for the most current availability on this product. Browse other items in the Hopkins collection from Rooms for Less in the Columbus, Reynoldsburg, Upper Arlington, Westerville Ohio area.